Dale Thongmahavong has been an art director, graphic designer and marketing professional for a major global corporation for over 18 years. His key responsibilities include corporate branding for all North America locations, global branding alignments, conceptualizing and designing corporate campaigns, and project management. 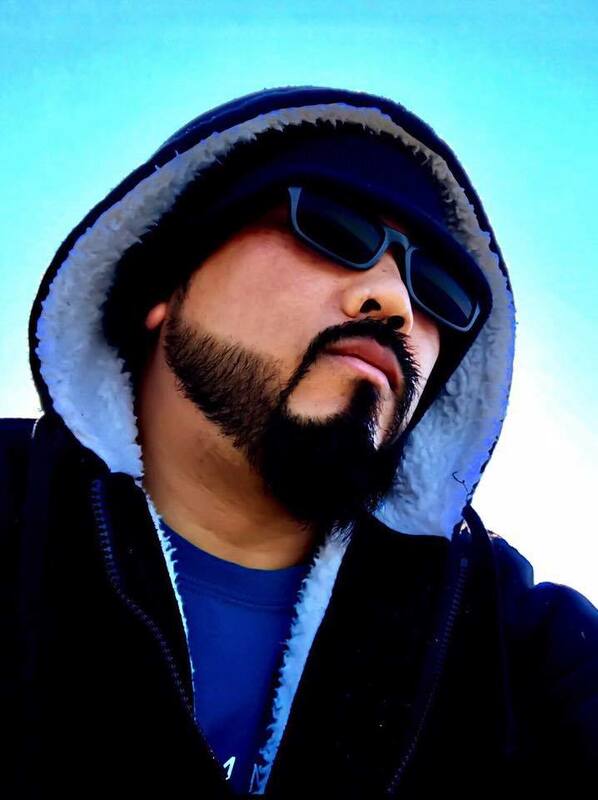 He founded Savan Apparel & Screen Printing in 2012, debuting his products at the International Lao New Year in San Francisco, California. I spent the majority of my childhood and adolescent years constantly asking my parents or other adults about what all these iconic Lao images, such as Xang Saam Hua (three-headed elephant), Kings, temples, etc. represent and the meaning behind them. I still talk to old folks about them to this day. The answers and stories are always inconsistent. The more people I interacted with, the more confused I became. Not only was I slipping away from my heritage, I was now more clueless about my history and where I came from. I claimed to be Lao, but every time anyone asked me about the history or the culture, I would never have an answer for them. The wake up moment for me was also a very embarrassing one. I was in my early 20s. During a traditional Soukhouan (blessing) ceremony at my parent’s house in Oakland, California, my mom handed me a bowl fruits, snacks and flowers. I stood there holding the bowl with a complete blank on my face. Then, a non-Lao person walked up to me and explained what to do. To make matters worse, he spoke to me in fluent Lao! I wanted to run to the backyard and bury my head in the dirt. From that day forward, I swore to myself this will NEVER EVER happen again. I started doing research religiously on our history, culture, arts and practices, read anything I could get my hands on for many many years. With years and years of research and studies, the stories from the adults I knew all started to make sense. 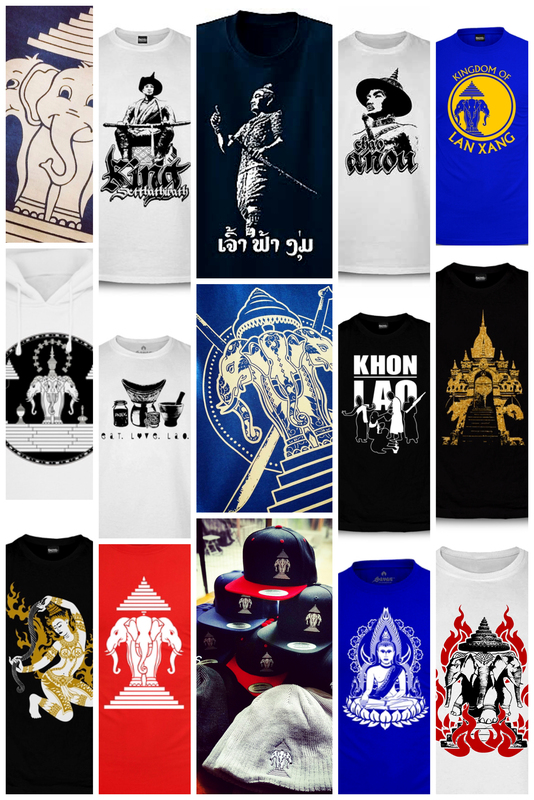 I wanted to share my history studies with the younger generation of Laotians, so I decided to incorporate my 15 years of graphic design and marketing knowledge to create Savan Apparel. And that’s how my clothing line was born. Our designs capture valuable icons and images of Laos to their true essence and looks. Every design from our Savan Apparel collection includes a brief description and history behind it. One of our design dates back to the Founder and the first King of the Kingdom of Lane Xang (Land of a Million Elephants), Chao Fa Ngum, who reigned as king from the 1300s. The main purpose of the clothing line is to empower all Lao people, young and old, with knowledge of our history and culture. We use daily attire and street wear as the medium to teach our children and to share our proud heritage with confidence and pride. We want to carry on our rich cultural legacy, which spanned over 600 years, so that it will be not be forgotten in the years to come. Three and half years ago, I was diagnosed with cancer. I had to put the clothing line on hold while I recovered from a major surgery. I came very close to shutting down the brand completely due to the situation. But, my passion for the brand and my desire to preserve our culture would not allow me to quit. Since the birth of Savan Apparel, I have met so many amazing and brilliant people — including like-minded community leaders, artists and philanthropists. My initial goal for my designs and history behind them was to reach and enlighten at least one person. Over the years, I have received so many messages from people, from all over the world, telling me how much they learned from the designs and the history I attached with them. To my surprise, the responses came from people of all ages, ranging from the younger generations to those of my parents generations. That right there is what fuels me. I am definitely blessed! Savan Apparel has extended from an apparel company to a screen printing and designing services. We have built a very solid reputation within the community over the years. Our focus has gone beyond our clothing line clothing line, to helping Lao foundations, communities, business owners, professionals, entrepreneurs build their products and brands. We have a complete catalog online and have shipped our items all over the world.